Are you ready for some tailgating? You all know that I’m not actually a big football fan. I don’t keep that a secret but I do enjoy tailgating. What’s not to love about sitting on the back of a tailgate with your boot (cowboy of course) covered feet swinging away with your favorite cold beverage in your hand and a slider or two in the other. Right? Right. I’m already thinking about recipes for this season. Wings and SLIDERS are some of my favorites. 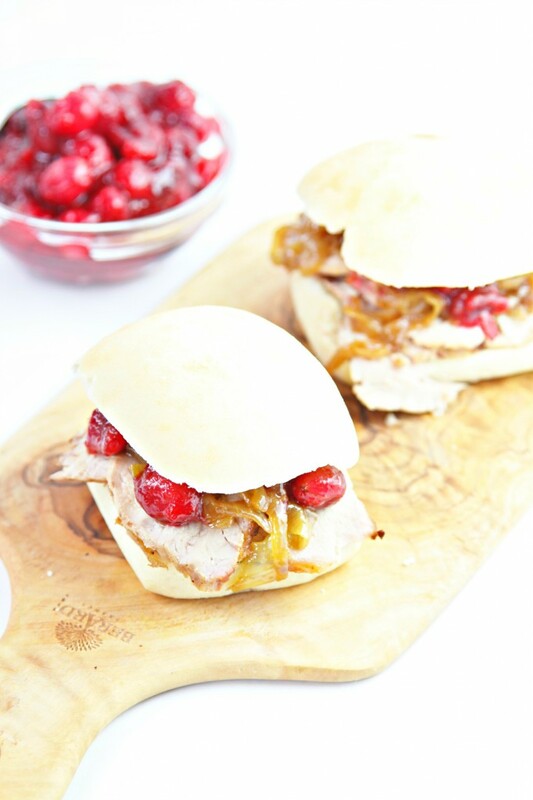 This Pork Tenderloin Slider with Cranberry Sauce and Caramelized Onions might be my new all time favorite slider and could possibly be yours too. It’s cooked to perfection and without worry too. Want to know the secret? We used a Cook’d Right Sensor. “The Cook’d Right™ Sensor, a brand-new single-use temperature indicator, is designed to provide a quick and accurate way to know when meats, poultry and seafood have reached their optimum level of doneness. Simply insert the Cook’d Right™ Sensor into the thickest portion of the meat and wait 5 to 10 seconds. Pretty neat right. No more second guessing if your meat is done. No more having to cut it in the pan and then put it back on. Nope, you’re all set with Cook’d Right Sensors. SPECIAL OFFER: The first 50 readers to fill out THIS FORM will receive a free 165-degree sensor for use with beef, pork, poultry and hamburgers. Please note that samples are limited to one per household. For more information on Cook’d Right™ Sensors, please visit the Volk Enterprises, Inc. website or follow Volk Enterprises on Facebook, Twitter and Pinterest. And be sure to ask for Cook’d Right Sensors by name from your local butcher, grocer or favorite brands. Disclaimer: This post is sponsored by Volk Enterprises. I was compensated for my time. Opinions are my own. Always have been. Always will be. Wow, I am seeing these Cook’d Right Sensors everywhere lately – I guess I am going to have to give them a try. 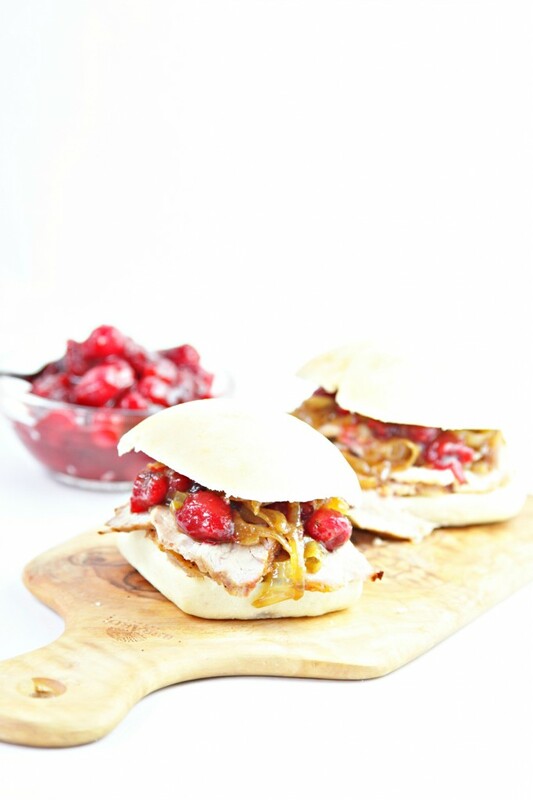 I love this combination, I don’t think I’ve ever eaten cranberries with pork. Plus, everybody loves a slider! I love the touch of cranberry…it’s like a preview to Thanksgiving! I keep hearing about these sensors and need to watch for them at the store. I think you have mentioned those sensors before and they sound so cool. Carmelized onions and cranberry sauce on a slider? Yum! Tailgating is the best part about football! Lol. Looks great! I prefer the tailgating over the football as well! These sliders look amazing! YES! The combine of pork, cranberry and onions totally calls to me! My German (they’re generally really into pork! ), onion-loving husband would be so happy if I these! I would be, too. 🙂 They look great. Sounds like Thanksgiving with a twist. 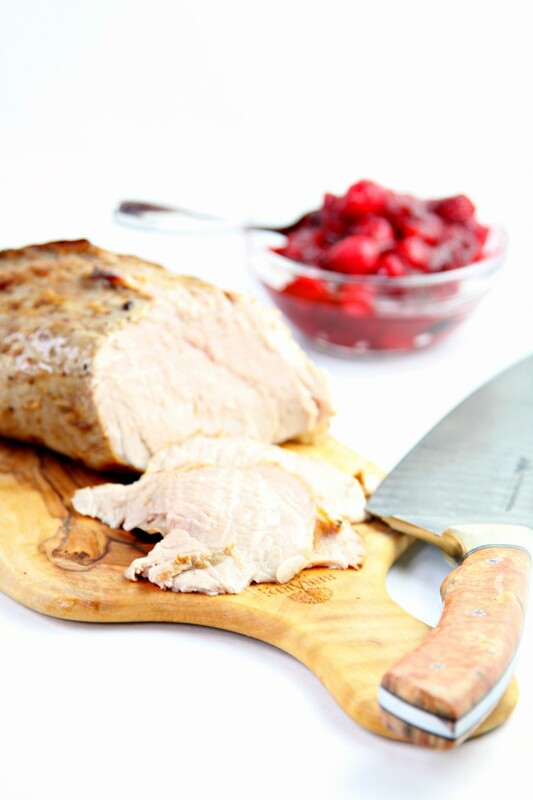 Love the pork and tangy cranberry combo. YUM! Oh, Paula. These look incredible.